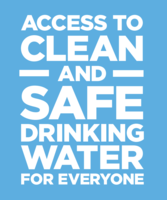 Vero Water is proud to support WHOLE WORLD Water to help bring clean and safe drinking water to people in need around the world. Launching in December 2017 with participating Vero Water restaurant clients, Vero Water is launching a social media campaign aimed at creating awareness of the global clean water crisis by educating and engaging restaurant patrons. The campaign will run through World Water Day on March 22nd 2018, and invites our restaurant & hotel partners and their guests to help make an impact in a community in need by taking a photo of Vero Water and tagging it #VeroGivesCleanWater. For every original photo of Vero Water tagged, Vero will donate $1 to Whole World Water to help fund a specific project that brings clean and safe drinking water to those in need. The campaign will be promoted at participating Vero Water establishments through table tents and menu mentions all provided to Vero Water clients free of charge. Read the full press release by clicking here. We have committed to donate up to $15,000 to fund 100% of a large-scale rain water harvester in Olkuroto, Masi Mara Kenya, Africa. Work is already underway to construct a large-scale rain water harvester which will supply clean water year round in this community. The project has been made possible through the generous support of Mahali Mzuri and the Whole World Water Fund. Learn more about the local community and the project in this short video.